WorldMovieStore - Lindsey Buckingham with Special Guest Stevie Nicks Sinopsis. One of the most popular and enduring acts for more than 35 years, Lindsey Buckingham takes the stage, reuniting with rock goddess Stevie Nicks to perform some of their classic Fleetwood Mac hits. Filled with smooth solos and catchy melodies, this concert captures the nostalgia of Rock and Roll’s two most talented music icons, featuring music from each era of Buckingham’s enduring career. In this intimate live show, Buckingham delivers a charged and emotional performance, discussing the meaning and controversy behind his work, and includes several of his current hits. Read More Sinopsis. 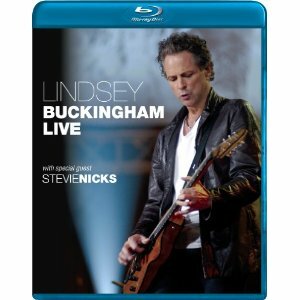 0 Response to "Blu-ray Release Lindsey Buckingham with Special Guest Stevie Nicks"